Mount Pleasant Granary - Sunday 19th. April, 2015 The Good Life continues. 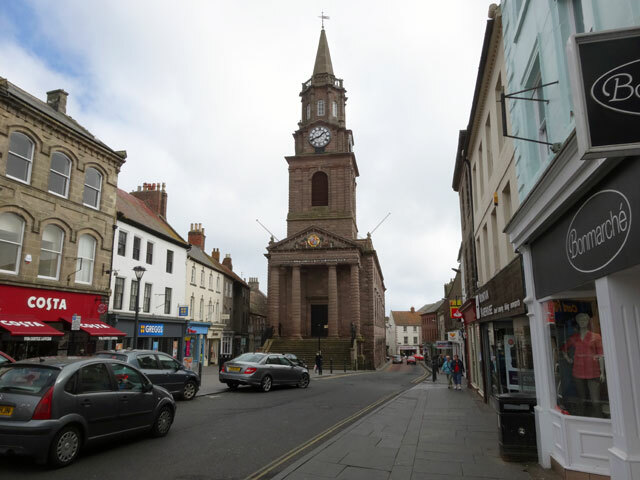 Up a little later than usual because today I went to Ayton Parish Church (Mum and Rachel came with me) and the service didn’t start until 11 a.m. So I walked Mix, showered and got ready in plenty of time. Ayton Parish Church is a beautiful building with a fine pipe organ and splendid painted glass windows, including one really splendid nativity scene. We were made extremely welcome, were given coffee after the service and were led through a very thoughtful service by the minister Norman Whyte. I thoroughly enjoyed our expedition and gained from it. On the way home we dropped in a birthday card for Annie at Gavinton (Annie is ninety tomorrow) and once home I had to leave almost at once because I was going to the twenty-fifth anniversary celebration concert in the Town Hall at Berwick for the Maltings Theatre. It was a thoroughly good afternoon. The Town Hall was absolutely full, the Scottish Youth Orchestra strings (thirteen young folk in all) were in fine form, the soloists were excellent and the programme was varied and just right. I loved it. The programme started with Grieg’s Holberg Suite, moved through two works by a Bolivian composer now living in Northumberland, Agustin Fernandez, and ended the first part with Kettletoft Inn (with the Northumbrian Pipes) by Sir Peter Maxwell Davies. The second part started with Gustav Holst’s St. Paul’s Suit (which I love) and ended with four works each either composed by or arranged by Matthew Rooke, the extremely talented artistic director (and chief executive) of the Maltings Theatre. These were ‘An a craw can sing anaw’, ‘Joseph Knight’, ‘A Northumbrian Kist’ -- a beautiful piece which included several Northumbrian folk tunes -- and finally a comic item ‘Wor Geordie’s lost ‘is penker’. Talented, talented people. On the way home I picked up a Chinese take-away which I ate back at the Granary – Rachel had gone off to Evensong in Berwick. On her return we watched Poldark as it wound up towards the conclusion it will reach next Sunday evening. Then it was time to walk the dogs before bed. It has been a spectacular day and a wonderful weekend. Halleluia!